This year marks the 80th anniversary of the modern Guelaguetza festival in Oaxaca. The calendar is filled with official Guelaguetza activities and other events that take advantage of the massive annual influx of tourists (especially from other parts of Mexico). 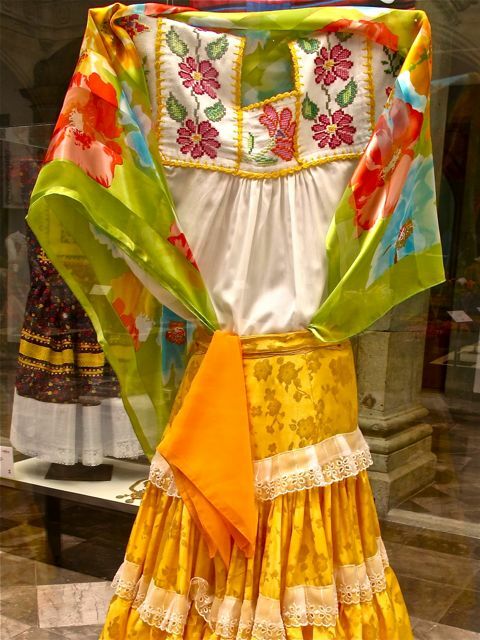 The colorful and distinctive costumes worn by the Guelaguetza delegations from each of the 8 regions of the state of Oaxaca play a major role in wowing visitors and residents — including, me! Huipil de San Andrés Chicahuaxtla, Putla Villa de Guerrero, Oax. 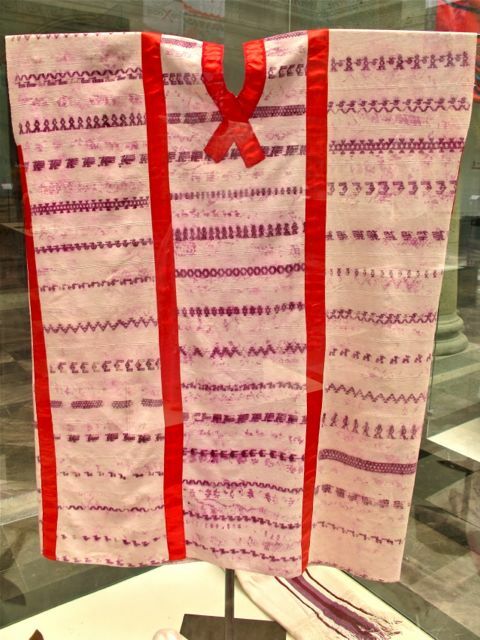 As a result, the “Oaxaca Xaba Lulá” exhibition has been mounted in the Government Palace. 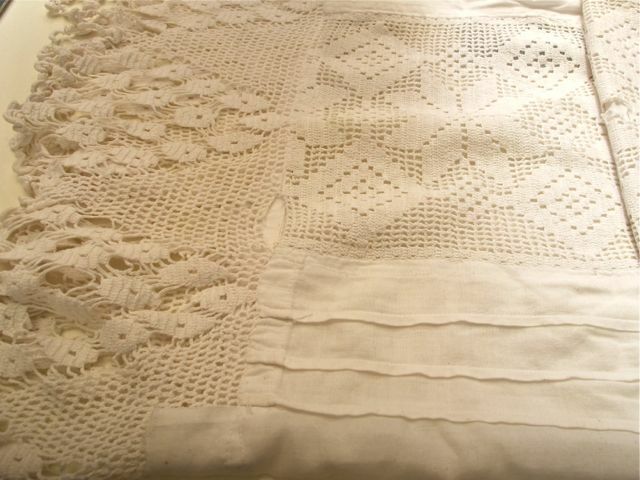 Traje de la Villa Sola de Vega, Oax. These are only a fraction of the items on exhibit and the photos were chosen primarily because they showed the least amount of reflection on the plexiglass display cases. It is a beautiful, but challenging to photograph, setting! Huipil de San Bartolomé, Ayautla, Teotitlán, Oax. 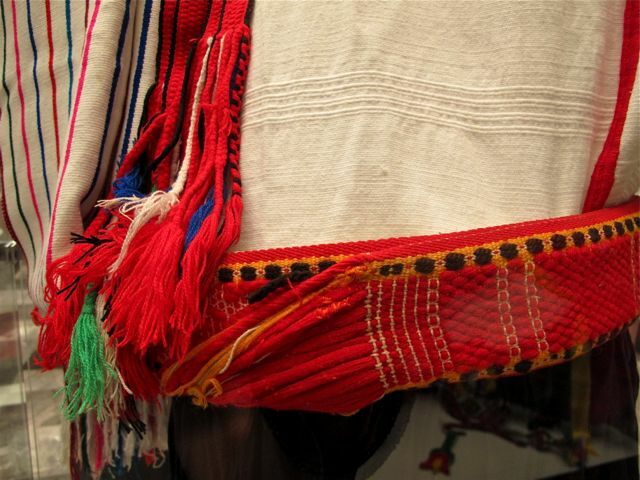 The collection of trajes típicos (typical costumes) representing the 8 regions of Oaxaca runs through the end of the month. 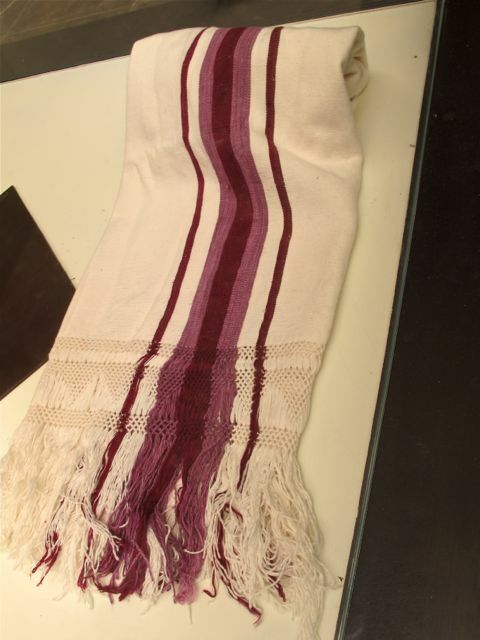 Rebozo de San Juan Colorado, Jamiltepec, Oax. 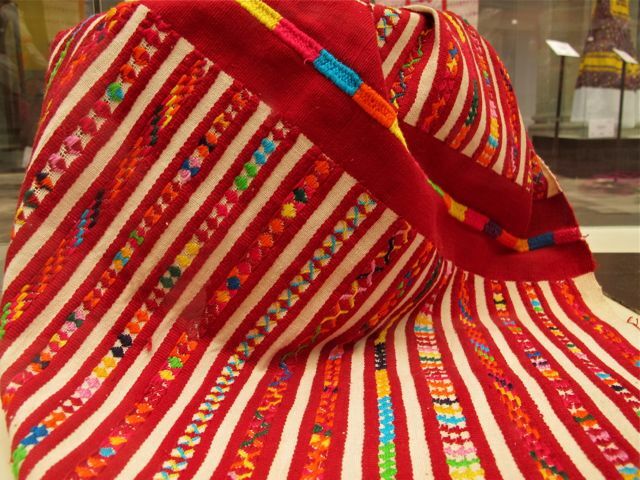 The dresses, hats and accessories were donated by Oaxacan citizens from different regions of the state and were made in the traditional way, with many using natural dyes. Huipil de Gala de San Lucas Ojitlán, Tuxtepec, Oax. At the July 6 opening, José Zorrilla de San Martin Diego (Minister of Tourism and Economic Development), explained that they reflect a cultural essence that has prevailed for centuries in customs and traditions of the people of Oaxaca. Funda de San Jerónimo Tecoátl, Teotitlán. Oax. 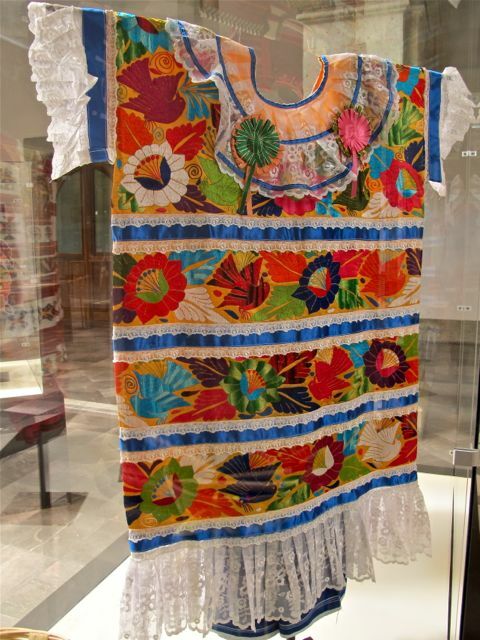 He observed that the Oaxacan costumes are a reflection of the depth of the culture, traditions, and ancestral weaving techniques that have been passed from generation to generation of Oaxacan hands. 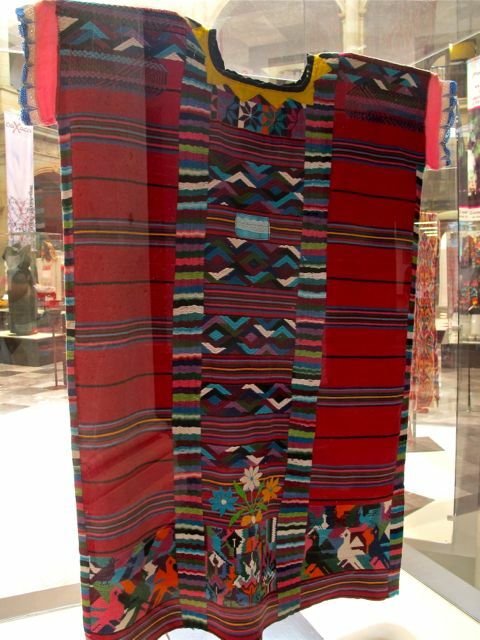 Traje de Santa María Tlahuitoltepec, Mixe, Oax. “The huipiles display in all their splendor the details that form a labyrinth of colors, a tiny universe that reflects the vastness of fertile nature and the symbolism that characterizes our native land and which graces the greatest festival of Oaxacaños,” Zorrilla de San Martin Diego very poetically suggested. Huipil de Jalapa de Díaz, Tuxtepec, Oax.